Patty the Penguin – save the penguins! 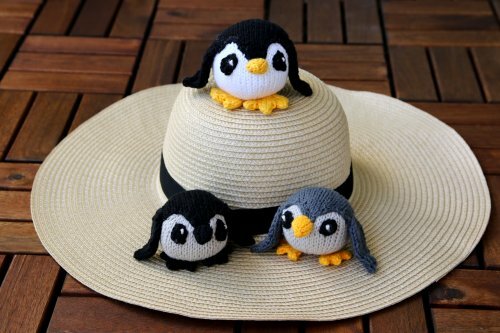 I love penguins. They are the coolest and best dressed birds ever. Though they are birds, penguins have flippers instead of wings. They cannot fly and on land they waddle walking upright (I kind of feel related :)—though when snow conditions are right they will slide on their bellies. In the water they are expert swimmers and divers, and some species can reach speeds of up to 15 miles per hour. The penguin’s distinctive coloring—black body with white belly—helps camouflage the bird in the water as it searches for meals of small shrimp, fish, crabs and squid. I designed this toy and was thinking that I don’t want to be forced to explain to my son later why all those cute and fluffy animals (and those that aren’t!) are extinct. And why I didn’t do anything to protect them. So I wanted to focus your attention on endangered species. Like the endangered Galápagos Penguin, which with a size of only 19 inches is cute and cuddly and there are less than 2000 penguins left in the world. 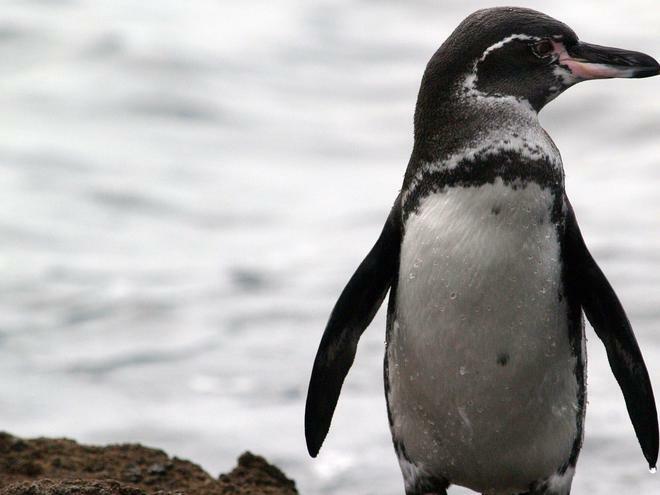 It is the only penguin species found north of the equator and in the Galápagos, six hundred miles off the coast of Ecuador, which is famous for a wealth of unique plants and animals found nowhere else in the world. The Galápagos Islands were the source of Darwin’s theory of evolution and remain a priceless living laboratory for scientists today. Illegal fishing, non-native species and the demands of more than 160,000 tourists each year threaten this irreplaceable ecosystem and the people who depend on it for their food and livelihoods. WWF spearheaded conservation efforts in the Galápagos, including funding the construction of the Charles Darwin Research Station. For more than 50 years we have played an integral role in protecting nature in the Galápagos and with our partners we continue our ambitious conservation work which is critical to every human, plant and animal on the islands. In 1998, the Ecuadorian government enacted the Galápagos Special Law, a legal framework to protect the Galápagos, and created the Galápagos Marine Reserve. WWF supported its establishment and continues to be involved in the management process that helps the reserve succeed. I will donate 100% of the money from this pattern sale directly to the WWF (World Wildlife Foundation). Check out their work and see which other endangered animals need our help. So who said knitting doesn’t make a change?? You’ll make one! There are many small ways to help protect this one and only world we live in. Reduce waste, reuse things, recycle as much as you can, shop locally to reduce greenhouse gases, knit with eco-friendly materials, pick up litter when you see it, teach your kids how to act responsibly and that this world, our planet, depends on all the animals, be it cute and cuddly, or ugly and slimy. They are all part of our one ecosystem. I care. I hope you do, too.